Parquet flooring patterns give your already fantastic looking floor an additional “kick” and the choices here are almost endless – from traditional and most common parquet flooring designs to extravagant, eye-catching and mosaic parquet flooring style. 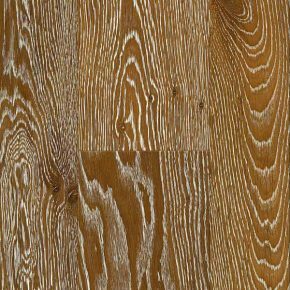 If you choose a high quality products from the most reliable parquet flooring manufacturers and if you also consider the dimensions or how thick is parquet flooring, than the choice rests entirely upon you, your imagination and skill of the parquet layer. Allow us to present some of the most beautiful options you have when it comes to parquet flooring patterns and we recommend you explore all the parquet flooring designs before you make a final decision. - brick parquet flooring design is simple, but beautiful: planks are laid next to each other and mimic the traditional brick wall. Choosing one of these options is a safe choice you can’t regret – they are always stylish and offer a safe background for any interior design. If none of the above mentioned parquet flooring patterns suit you, you can also choose a unique mosaic or irregular parquet flooring design. When deciding on the appropriate flooring, parquet flooring colors also play an important role. Choose light parquet flooring for minimalistic and modern design, for example, dark parquet floors for rustic or dramatic effect and grey parquet flooring for a subtle foundation for any style. All the possibilities can also be used for achieving industrial design if you pair your flooring with appropriate furniture. For more information on style of the parquet flooring, parquet flooring manufacturers etc., feel free to contact our friendly professionals at Floor Experts.